Barcelona is one of my favourite cities in the world. 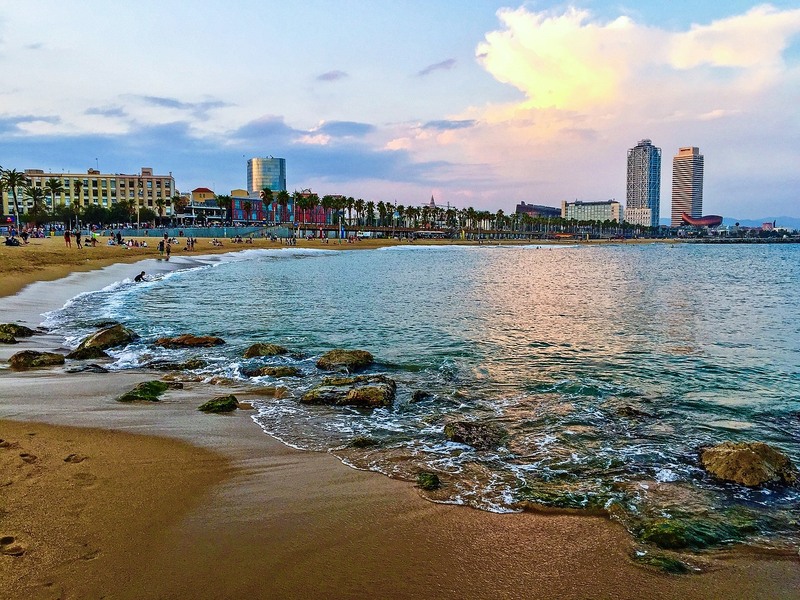 Who could fail to love this beautiful city on the shores the Mediterranean Sea? It has art, culture, shops, history, attractions, sea & sand and football. 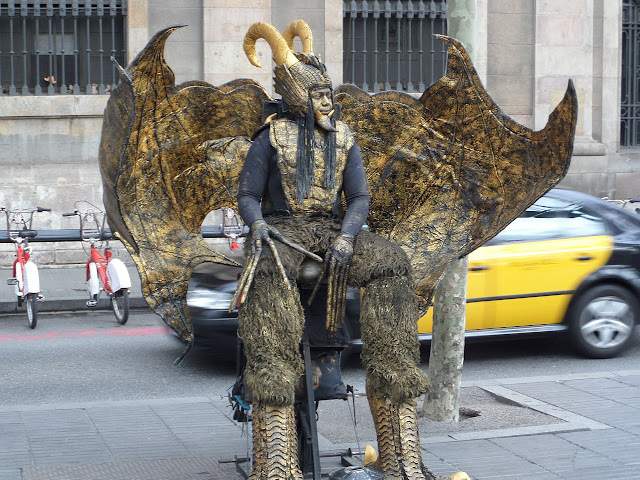 I’ve been to Barcelona a few times - for work and once for pleasure. I say work, I had to make sure 28 competition winners had a great time on the holiday they had won in a pub. But before that, we had travelled there on a holiday of our own. 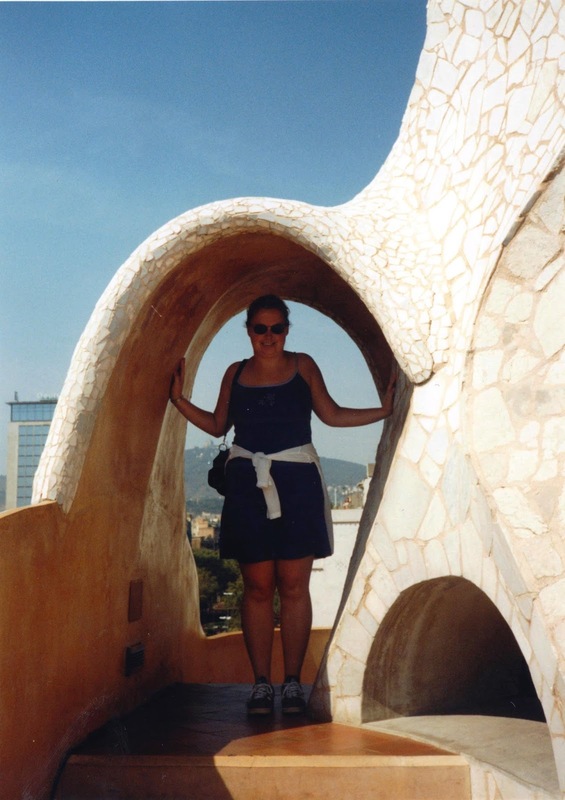 We were actually staying north of the city on the Costa Brava, in Tossa de Mar, (where we were served Pan Con Tomate) and then booked a weekend in the city mid-way during our two-week vacation, and took the bus to Barcelona. And that was nearly 20 years ago. How time flies! Barcelona is a Catalonian gem. We visited in the month of September when it was still very warm and sunny, and the actual weekend we travelled fell on September 11 - the Day of Catalonia. The city was lively, especially the football stadium, but more of that later. We were thoroughly spoilt that weekend we had booked a room at the then 6-star luxury Hotel Arts as our accommodation. I wouldn't necessarily say this is a top choice for family accommodation in Barcelona, but it was such a treat. Musement helps you get the best from destinations by providing a great choice of local tours and attractions. More than just "things to do", the Musement website has ideas and suggestions include temporary, exclusive, hidden-gem and even free activities. 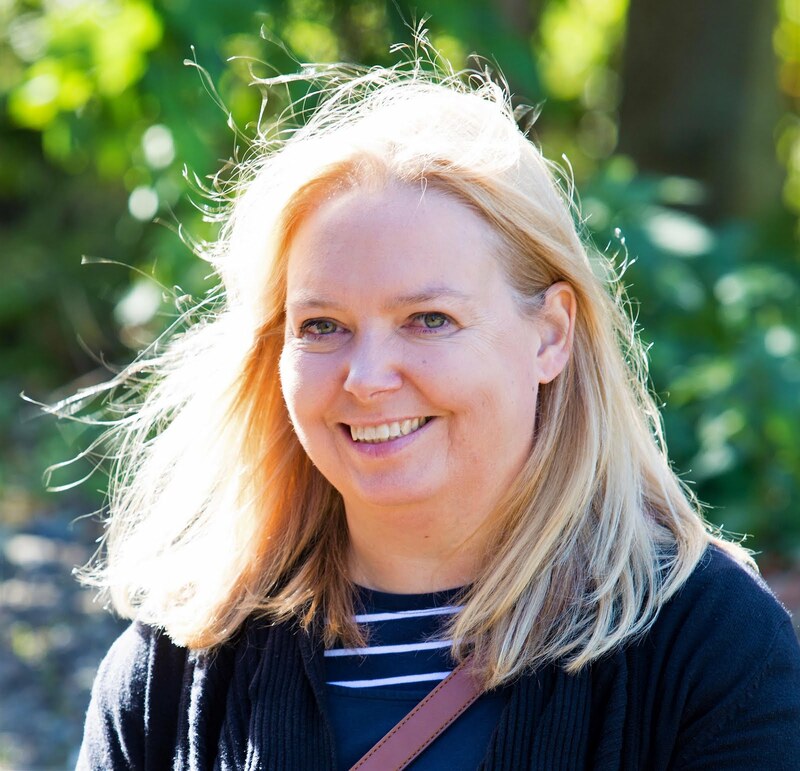 It’s an online resource that can be used for planning and there is also an app for on-the-go decisions helping you hack the city with hints and tips from local experts, acting as your own Barcelona guide. Just walking through the streets of Newcastle the boys love watching the human statues on Northumberland Street and are thrilled every time they move after receiving a coin from a passer-by. I can’t imagine how excited they would be to see the street performers while strolling along Las Ramblas, the central boulevard which cuts through the heart of the city centre from Port Vell to Plaça Catalunya. Along with four beaches no less, Barcelona has got to be one of the best cities for taking children too. So with the help of my memories and some Barcelona family holiday research with Musement here are some of the top things to do with kids in Barcelona and the five places that I’d love to take the boys to see in Barcelona when we return. 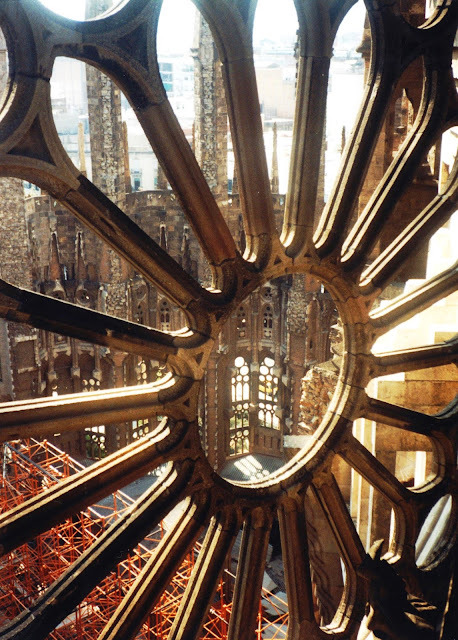 For many people, Barcelona is all about the eccentric genius of Gaudi. It’s certainly the top memory I have of the city. 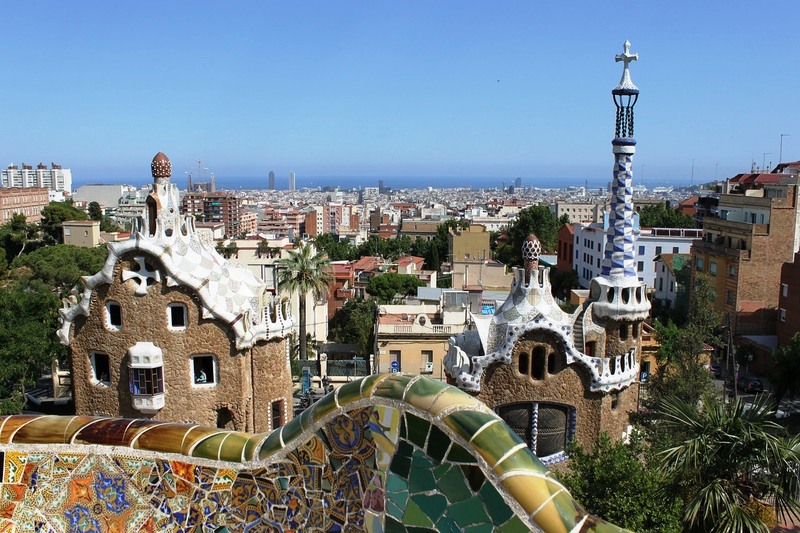 A visit to Park Güell, the Sagrada Familia, Casa Milà or Casa Batllò is a must. I loved all of these places. The melting buildings, multi-coloured mosaics, fantasy architecture and the imaginative and creative use of bricks and mortar, natural curved construction stones, twisted iron sculptures all influenced by forms of nature. 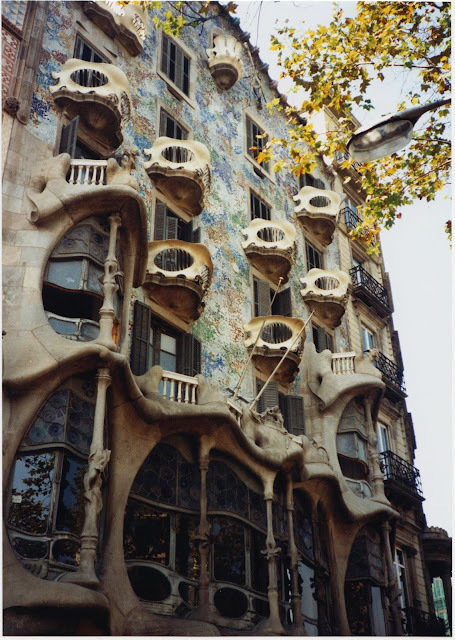 Casa Batlló is located in the very heart of Passeig de Gràcia is one of the most interesting buildings in Barcelona. Gaudi didn't build it but in 1904 he was hired to redesign it. 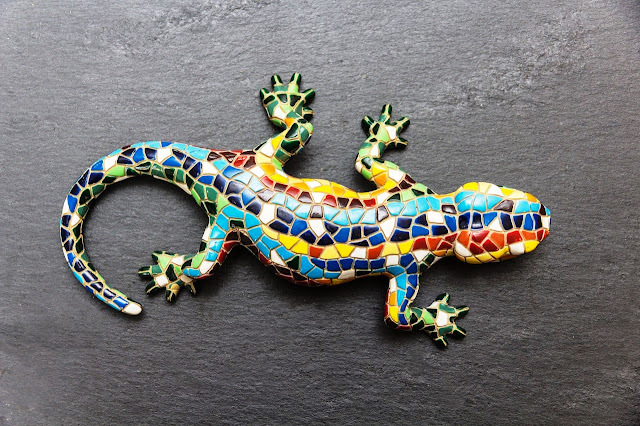 Many elements at and in Casa Batlló refer to the legend of Saint George (Sant Jordi). As the patron saint of Catalonia and symbol of modernism, he can be found in numerous works by Gaudí. Casa Milà is one of the last buildings designed by architect Antoni Gaudí before he devoted himself fully to the construction of the Sagrada Familia. 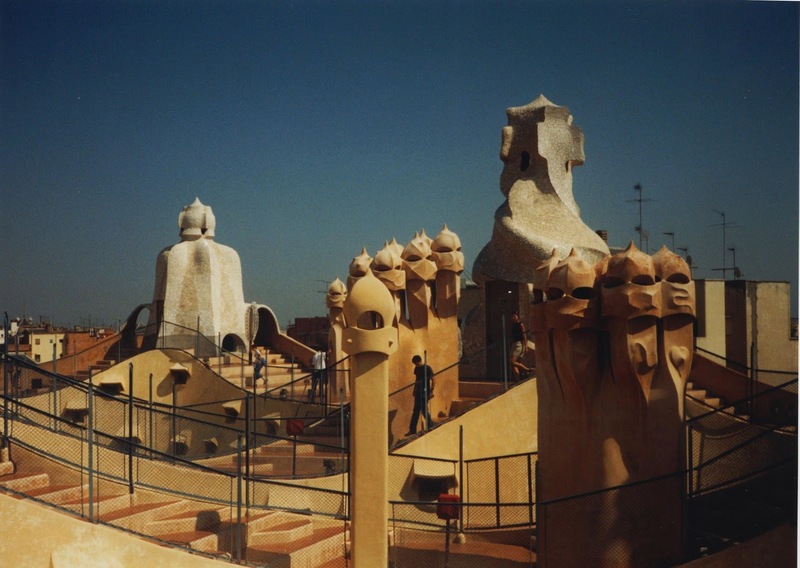 Popularly known as ‘La Pedrera’ (the stone quarry), was constructed between 1906 and 1912. 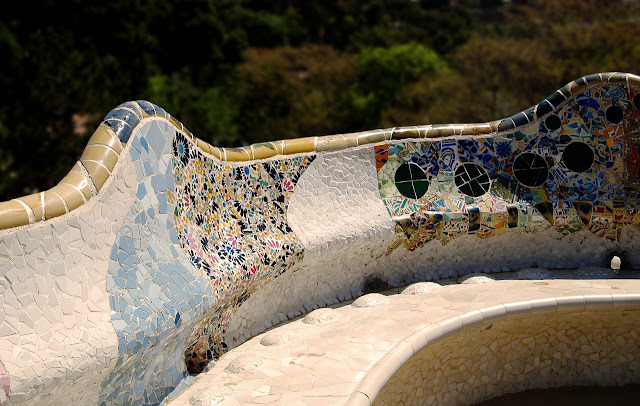 Park Güell is one of the most famous sights of Barcelona. 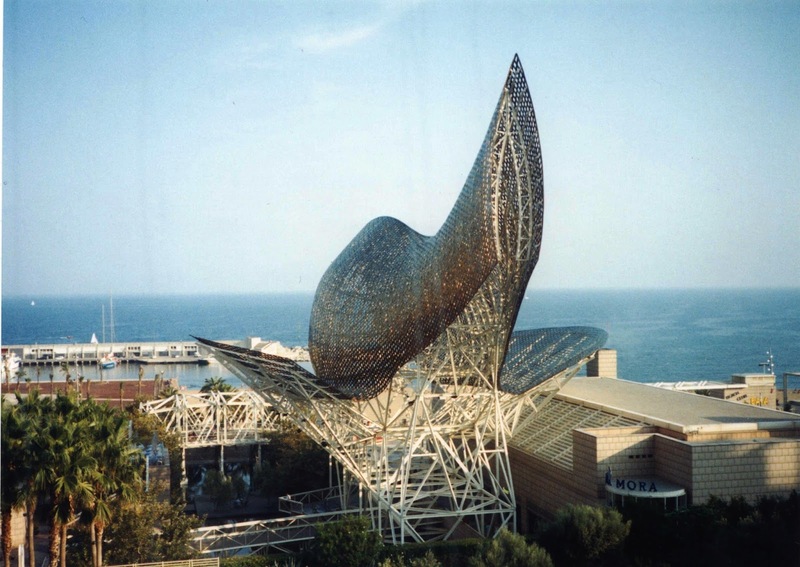 It was commissioned by Eusebi Güell who wanted to create a stylish park for Barcelona aristocracy. The park contains amazing stone structures stunning tiling and fascinating buildings. 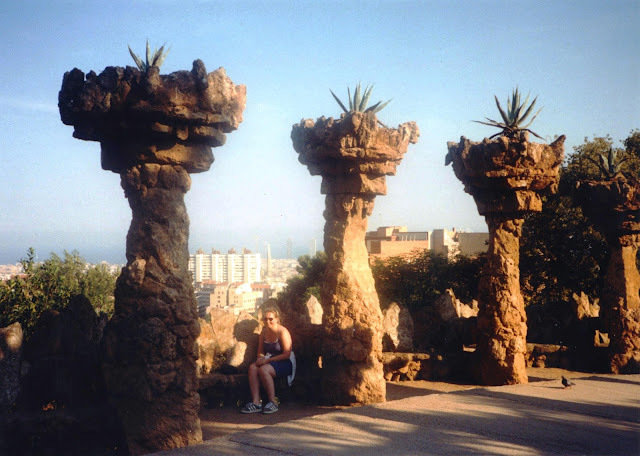 At the top of Güell park is a terraced area where you get a wonderful view of the park and of Barcelona City. The Sagrada Familia is the most popular and certainly one of the most imposing landmarks of the city of Barcelona and is the life’s work of the famous architect Antoní Gaudí. It is an exceptional place of worship, as much for its beginnings and foundation as for its ambition. 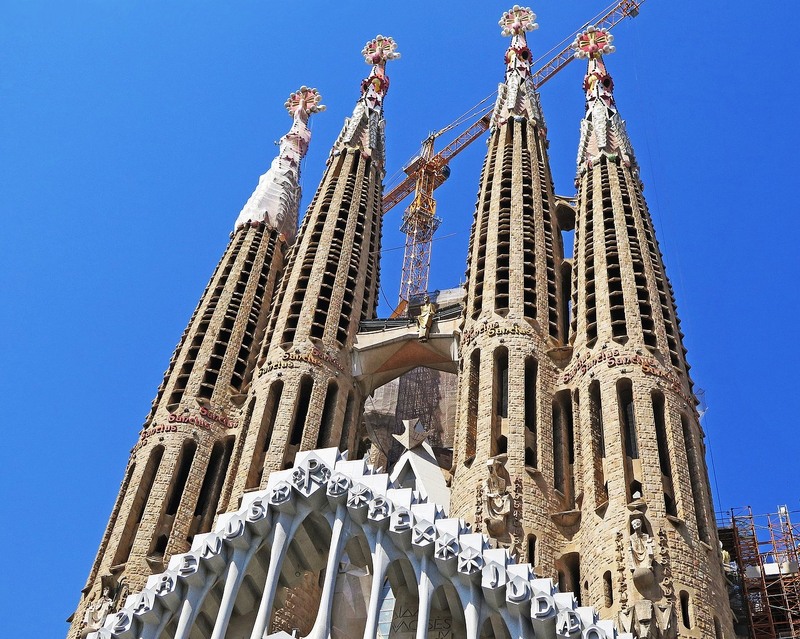 The beginnings of the Expiatory Temple of the Holy Family, known as the Sagrada Familia, go back to 1866, with Gaudi taking over the project in 1883, until his death in 1926. Construction continues today and should be completed in 2026. Camp Nou is not only one of the most important and famous football stadiums in the world, but also one of the major tourist attractions in Barcelona, with the highest capacity in Europe and one of the largest in the world. I'm a big fan of football and I've written about my love of football before. Like many people, Barcelona is my favourite Spanish football team and a visit to the stadium was definitely on my wish list. But while we were there we did more than visit the stadium we saw a live game of football. 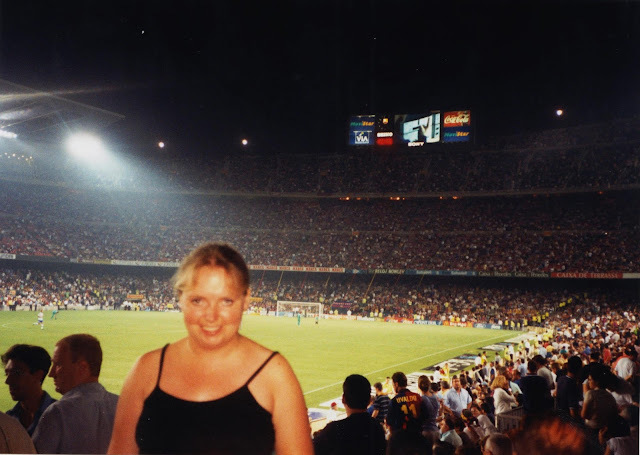 Barcelona FC v Espanyol (their hometown rivals) on the Day of Catalonia – it was amazing. At that time Louis van Gaal’s star-studded Barcelona squad included Luís Figo, Patrick Kluivert, Phillip Cocu, Boudewijn Zenden, the De Boer brothers as well as Captain Pep Guardiola, Luis Enrique and Rivaldo. It was also during Barcelona's centenary year too. The stadium is immense, noisy, exciting but not once did I feel unsafe or crushed and I’ll always remember the time I watched Rivaldo score a goal. I just hope it lives up to my expectations next time I visit. 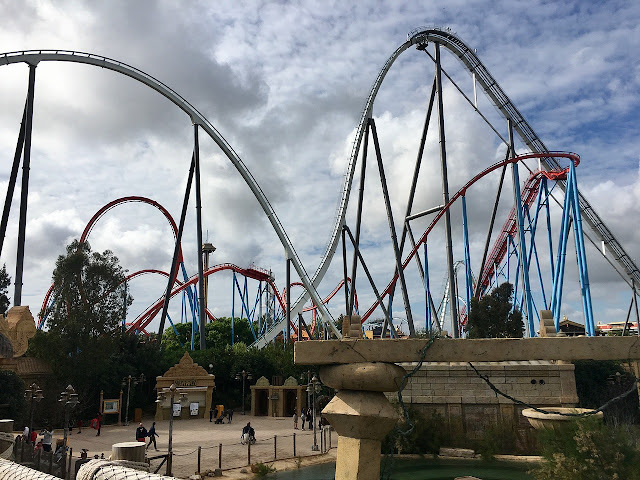 This amusement park is just over an hour outside Barcelona but even when we visited it was worth a trip so with all of the developments is somewhere I’m sure the boys will want to go. Now you’ll find six completely different worlds of adventure awaiting you in PortAventura Park all designed with stunning theme details to enhance your experience. Mediterrània, Polynesia, SésamoAventura, China, México and Far West. The park hosts 40 rides – many that are one-of-a-kind rides in Europe with records for height, speed and size. There is also the magic of show business with up to 40 daily performances too. The spectacular Magic Fountain is very popular and is best known for its sound-and-light shows. The Dancing Fountains as I like to call them are beautiful. The magic fountain is a spectacular display of colour, light, motion, music and water acrobatics and a "must see" when you go to Barcelona. This unique water and light feature receives 2.5 million visitors every year and can produce around 7 billion light-and-water combinations by combining hydraulic features and lighting. 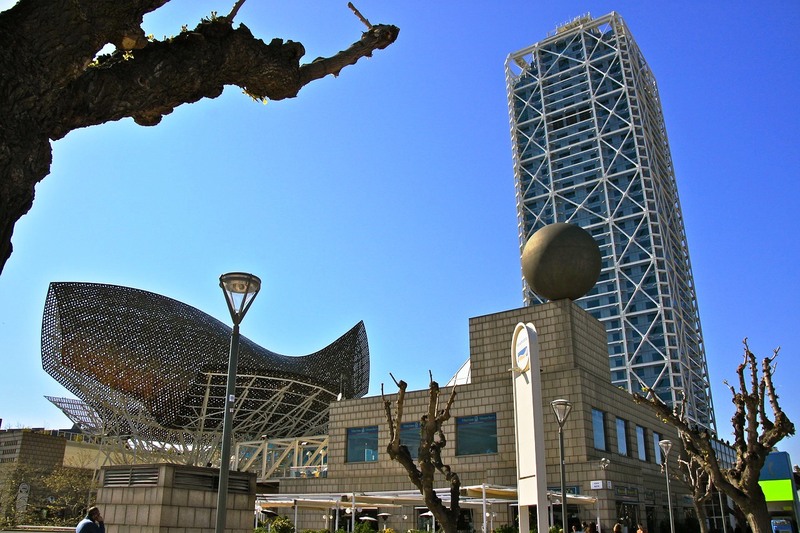 Properly named the Font màgica de Montjuïc in Catalan, the first performance was in 1929 during the Great Universal Exhibition. However, it is also getting more sustainable too. Around 2,600 litres of water a second flow through the fountain's three concentric pools, driven by a water-recycling system, and the traditional lighting has been progressively replaced with LED technology, due to its low consumption and the coloured lighting it offers. 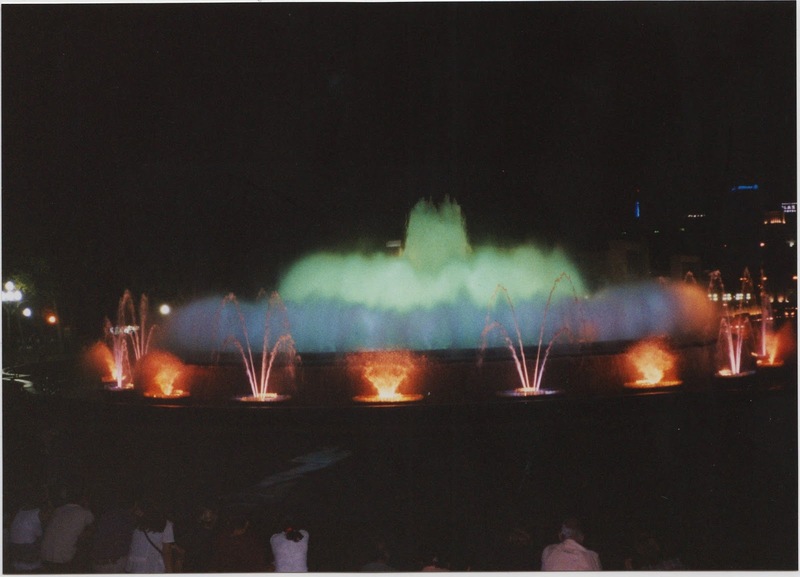 The Magic Fountain has also been using groundwater since 2010. Tibidabo Amusement Park is one of the three oldest parks in Europe with roundabouts, Ferris Wheel and rollercoaster. 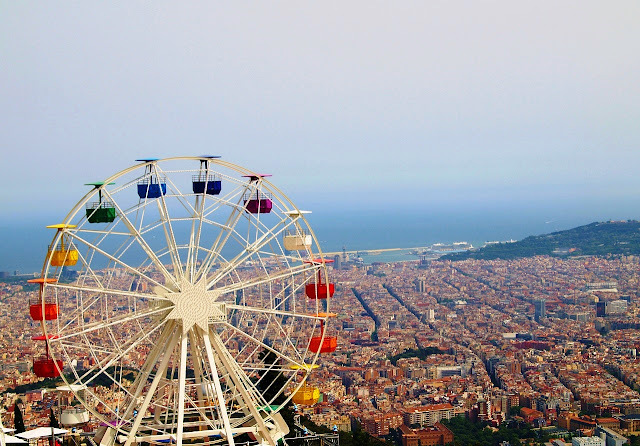 Located at the top of Tibidabo mountain it offers magnificent views of Barcelona yet is only 25 minutes from the city centre. 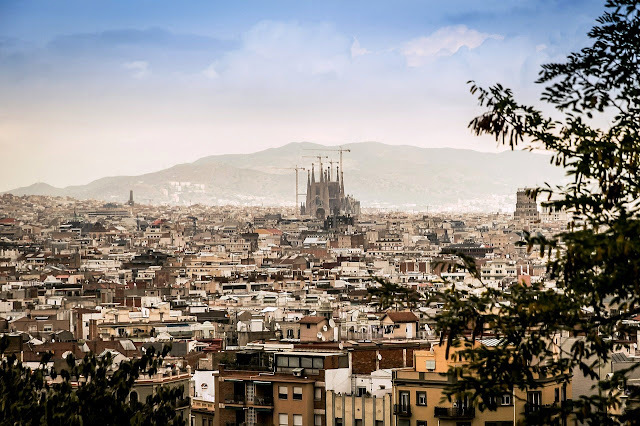 The approximately 520-meter-high Tibidabo is the highest mountain in the Collserola mountain range with breathtaking views. On a clear day, you can see to Montserrat. Where would you like to visit in Barcelona? Disclosure: This post is sponsored by Musement and we have been compensated for our time in writing it, but all content is original and written by My Boys Club. Some photography is mine from past holidays and some sourced online via Pixabay. We are actually going to Barcelona later on this year! It looks like such an amazing place to visit and i'm so excited to see the fabulous architecture! Oh this post has come at a perfect time as we're heading to Barcelona in July for the first time and our son is coming along. So I'll be looking at this again closer to the time! 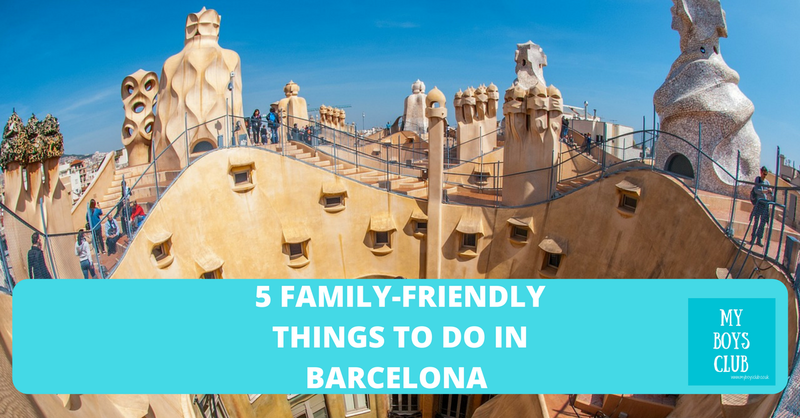 I'd love to visit Barcelona with the kids - some great tips! 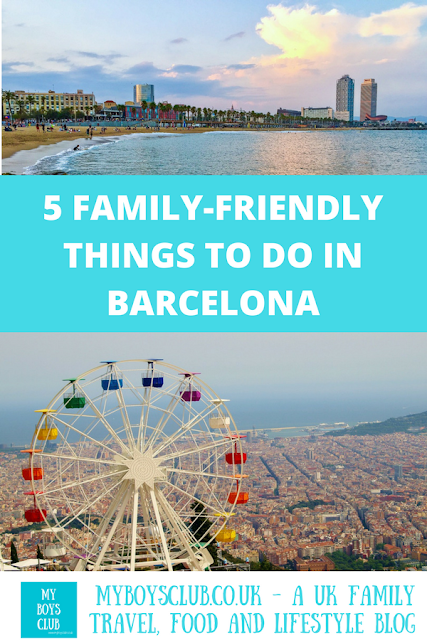 Oooo these sound great for doing on holiday in Barcelona, I've only been when I was little so I would like to take my son. I really like.yhe sound of the magic fountain.